Discover the software platform that detects and protects against drone-based threats. Drone technology advances rapidly, and only a software-centric solution can keep up. 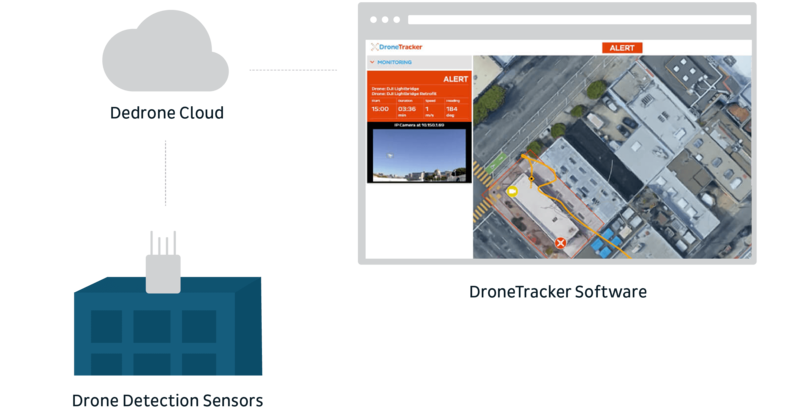 Dedrone’s DroneTracker software, hosted in the cloud or on-premise, uses our DroneDNA database to recognize and classify RF, WiFi, and non-WiFi drones. 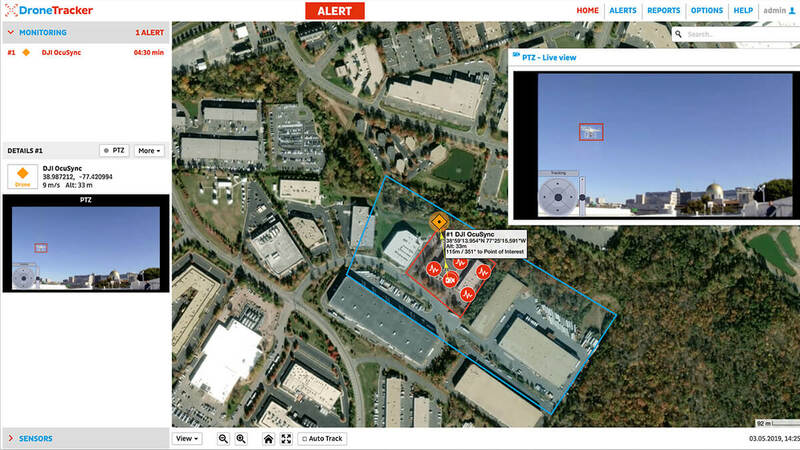 DroneTracker also integrates with 3rd-party sensors, and triggers alerts and countermeasures. 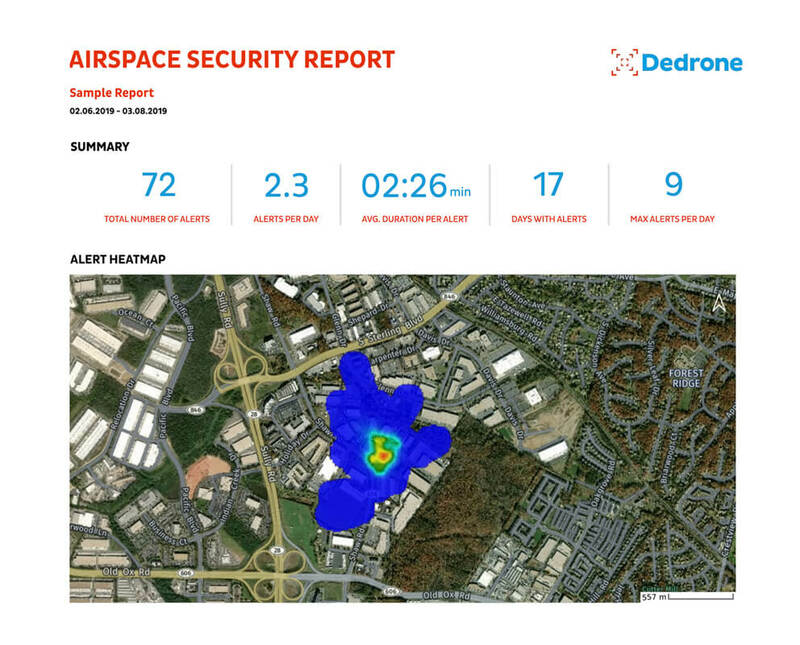 Dedrone’s advanced, machine-learning algorithms are built-in to DroneTracker software, enabling the system to reliably detect the difference between drones and other moving objects in the airspace. Based on an image recognition and classification library, the underlying analytics are trained on millions of data points and are continually updated via the cloud. 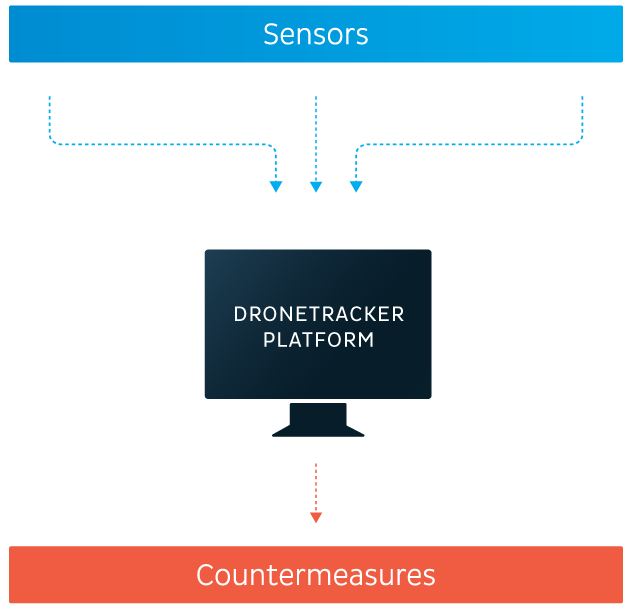 DroneTracker accepts video from off-the-shelf surveillance cameras, turning them into full-time airspace monitoring sensors. The Dedrone Cloud makes deployment simple, eliminating the need for on-premise servers. RF Sensors automatically connect to the cloud, and frequent software updates ensure the airspace is protected against the latest drone threats. For environments requiring on-premise management, local management configurations are also available. 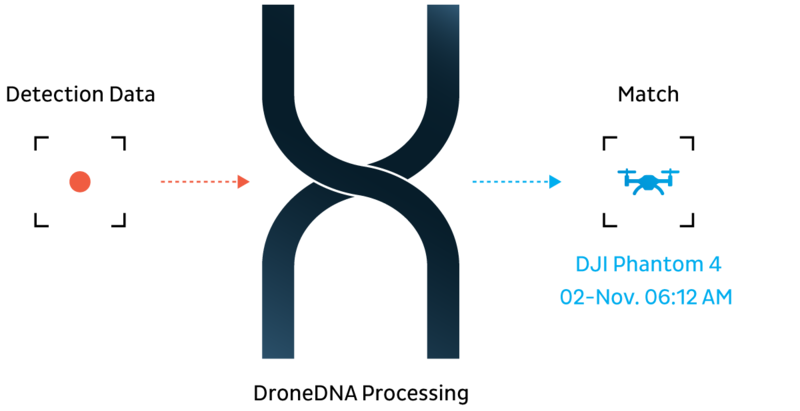 DroneTracker is built on Dedrone’s leading DroneDNA database. Automatically updated and continuously trained through machine learning on drone signatures, it enables DroneTracker to detect the latest threats 24/7. The RF Sensor is the foundation of the detection solution, providing early warning of malicious activities. Additional video sensors aid detection, show real-time views, and archive video evidence. More external sensors can be integrated via the API. By combining several sensors, large spaces with complex layouts can be secured effectively. Data from all sensors are combined and processed centrally in the cloud or an on-premise environment. Alarms are triggered as soon as the approach of a drone is detected. Alerts can be sent through SMS, the software user interface, e-mail, network (TCP/IP), SNMP, or smartphone push notification. All detected events are recorded and stored locally, including collection of drone type, and model. If installed, video cameras accurately classify whether detected objects are drones and record video evidence — including the flight path of drone. Automated summary reporting delivers the most critical information up-front. Find how many drones are intruding into your airspace, and details such as drone model, intrusion time, and frequency of recurrence. Modern security requires a layered approach. Dedrone hardware and software technology is augmented through 3rd-party sensors and countermeasures, allowing customers to adapt the solution to their exacting specifications. 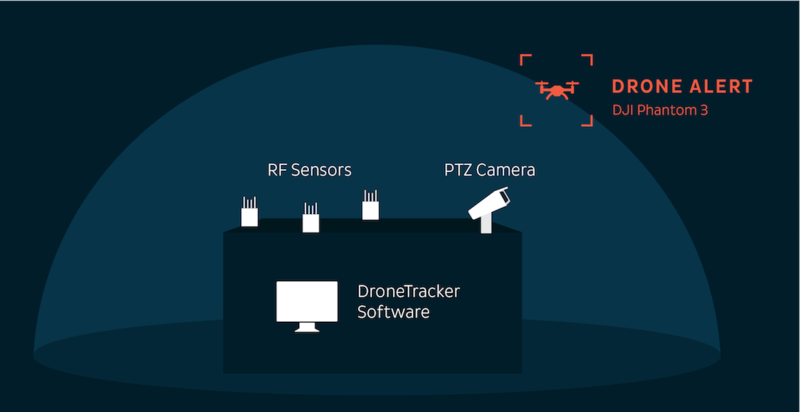 Multiple sensors can be connected to the DroneTracker software, allowing for detection of even the most obscure drones. Both passive and active countermeasures can be triggered via the API, tailoring the defense mechanism to the severity of the threat.